February 22, 2017--It's time again for Rehoboth Beach Museum's Annual Needlework Exhibit. 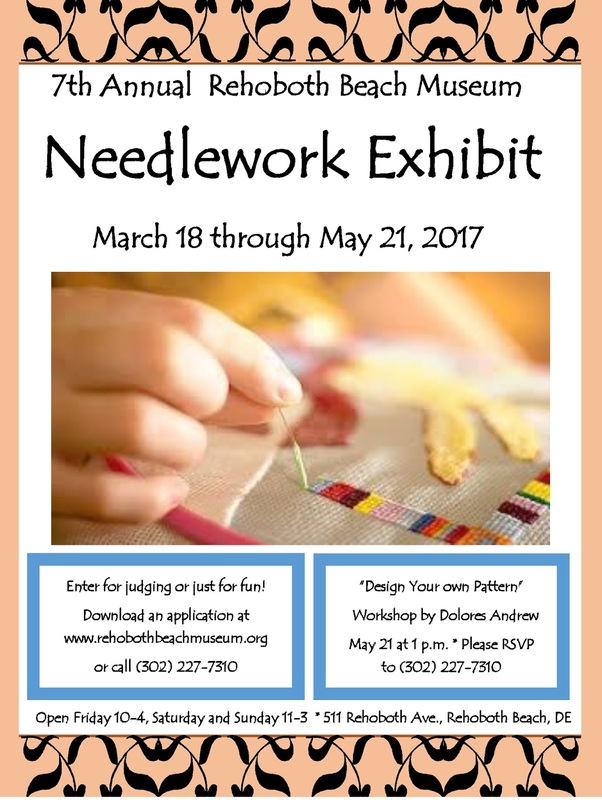 This is the 7th year that the Delaware museum has put on a needlework exhibit and it's a big hit for those who reside in the state as well as for visitors to the beach. It runs from March 18 through May 21, 2017 and all are invited to submit entries using the form which can be found here, Hope to see you there.